Enjoy playing piano with cow sound effects. Play REAL music now! It's useful as sound effect machine too. Drag your fingers to play many keys! Identifiez vous grace à votre compte 440Software (MacMusic, PcMusic, 440TV, 440Forums, 440Software, ...) ou via votre compte FaceBook, Twitter ou Google. Top 33 in Music Category (JP) Enjoy playing piano with dog voice. Enjoy playing a piano with real duck "quack" voice! Enjoy playing a piano with Frog Voice! 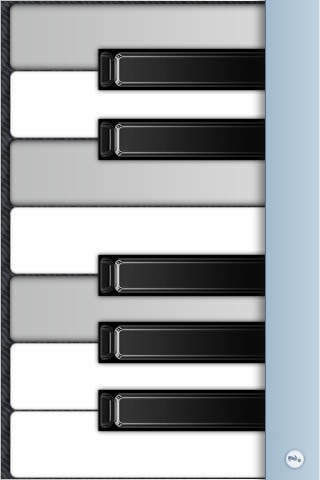 Enjoy pig sound effects with piano key style. Please turn on your speaker for sound effects. Enjoy playing a piano with a rooster's "Coooook a doodle dooooo!" Santa Piano Free - Merry Christmas! Santa's ho-ho-ho became a piano. Enjoy playing a piano with Santa's voice. Limited time download! Get this until Christmas !! !